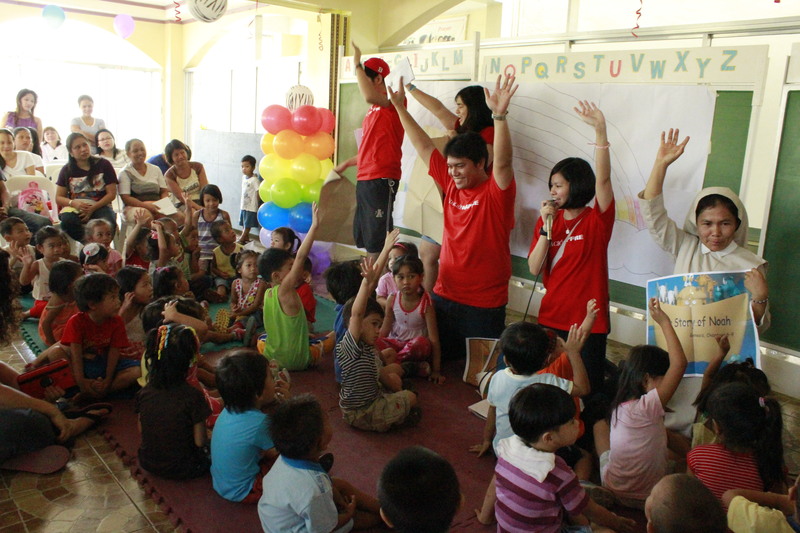 Last June 14, Volunteers from MAPFRE Insular came to Eugenia Ravasco Day Care Center. The activity was to prepare the kids for the opening of its classes on June 18. The 61 kids in attendance participated in the activity, an interactive story telling activity about theme, “Noah’s Ark”. The program was aimed to provide a welcoming environment for the children before their first day of school, giving them a gist of what to expect in the coming school year. At least 20 MAPFRE volunteers and the parents were present at the event, assisting the kids during the activity. This entry was posted in Bring it on MAPFRE. Bookmark the permalink.